Gavin Presman is able to transform your business outcomes and transform the way you think. 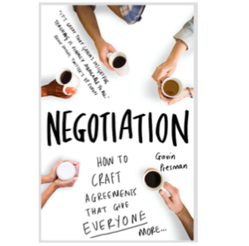 Gavin Presman is an expert in how to negotiate collaboratively to craft agreements that give everyone more. Aged 17, Gavin was one of the youngest ever demonstrators on the global product demonstration circuit. At 20 he was the youngest ever recipient of Canon’s prestigious Masterskills Competition. 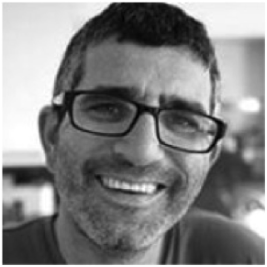 In 2002 he launched his personal and professional training venture, Inspire, and clients now include many of the world’s leading media and technology businesses, such as Microsoft, JCDecaux, Guardian Media Group, DMGT and Twitter, as well as many interesting and creative businesses like Global Radio, Kitcatt Nohr Digitas, Contagious Communications, The How To Academy and Social Bakers. He has also designed tailored negotiation training for global businesses including Barclays, Sony and Phillip Morris and delivers further ad hoc negotiation and influence training across the world. Gavin is the son of a teacher, a politician, a preacher (and stand-in rabbi) and a City Lawyer. Evenings in the Presman household involved little TV and much debate. From his father Gavin learnt the importance of understanding all sides of an argument. From his mother he learnt how to use a good story, from his grandfather, how to make a good deal, and from his Booba, how to make a sensational chicken soup. Gavin Presman is a master practitioner and trainer of NLP, a master trainer and EMEA partner for Lumina Learning, a graduate and former coach on Landmark Educations Curriculum for Living, and the Chair of Governors at Eden Primary, a new free school he helped to found. He also has a law degree from Liverpool University. He is the European Lead Trainer for Microsoft's Catalyst Programme, and was celebrated in 2013 as the ‘Highest Rated’ global trainer at Microsoft, outside of the US. He lives in London with his wife and 3 children — who are all excellent negotiators. Gavin has written two books. The first book, on negotiating, was published in 2016 by Icon Books. The second book, HOW TO SELL WITH COMPLETE CONFIDENCE was published in September 2017 by The How To Academy. Both titles are based on his popular courses with the How to Academy. Follow Gavin Presman on Twitter.